Regenexx-SCP is a non-surgical blood platelet treatment designed to help patients who are experiencing joint pain, tendinitis, ligament or tendon problems due to injury or wear-and-tear. It is an advanced form of today’s well-known Platelet Rich Plasma or PRP Injection, costing less than stem cell procedures and commonly used in less severe injuries and conditions. machine to separate the plasma and concentrate the blood platelets, which are then automatically extracted and used for the PRP injection. These bedside machines typically create a PRP with platelet counts of three to five times normal and the PRP retains a relatively high count of white and red blood cells, which may cause additional inflammation in the joint following reinjection. 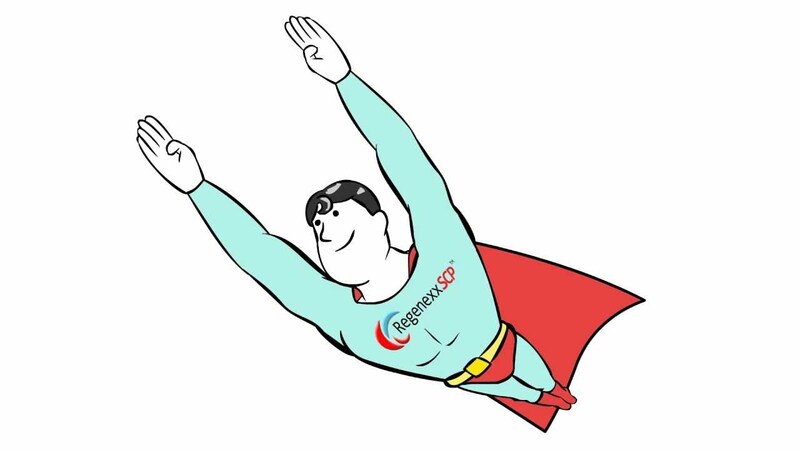 Regenexx has developed a superior injection procedure called Regenexx-SCP, which stands for Super Concentrated Platelets. It utilizes the same approach to healing injured tissue, but the PRP itself is far more pure and concentrated than PRP created with an automated bedside machine. That’s because Regenexx-SCP is created in a lab environment by a skilled technician, who can utilize more of the good stuff and get rid of more of the bad stuff. Bedside centrifuges can concentrate platelets but many machines are not very good at removing the undesirable cells from the resulting mixture. Our lab tests indicate that white and red blood cells have an inhibiting effect on the same stem cells the platelets are trying to stimulate, and may cause excessive inflammation following the injection. As you can see in the image above, the Regnexx SCP process results in an amber PRP that is far more pure than what’s possible with a bedside machine. The bottom line is that Regenexx SCP delivers much higher levels of platelets to injured areas, ensuring the best possible outcomes for Regenexx patients. Can you get better results from higher platelet concentrations? Is Platelet Rich Plasma or PRP the same as Stem Cell Therapy? We have a wealth of information on the blog about Platelet Rich Plasma / PRP. At the bottom of each of the posts listed above, you will find links to even more related articles, so feel free to explore.